Lost? But it's like, right there. It's time for something that resembles a roguelike! 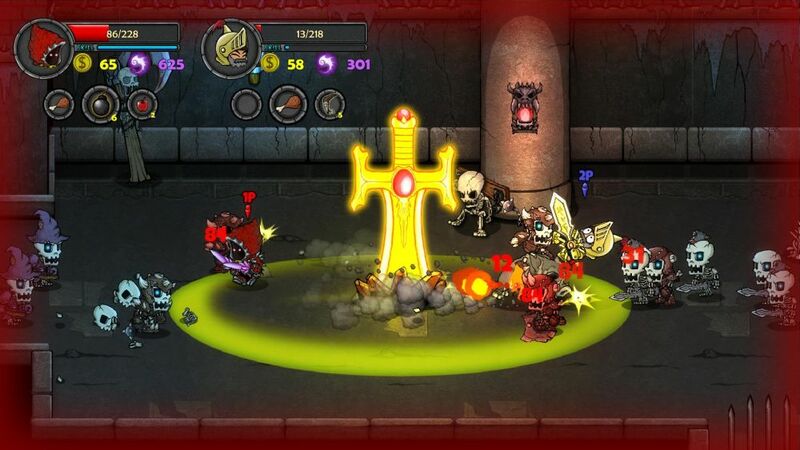 Lost Castle shoves a random character in your hands and turns you loose in a world full of enemies and treasure. No puzzles, no platforming, just a lot of hacking and slashing followed by looting and upgrading. It's a sweet throwback to some classics in the genre, complete with local co-op for two. So, the Earl accidentally opened a portal to Hell. I know, right? Pretty zany. While he certainly didn't mean to do something so destructive, the reality of the situation is demons are pouring through like water, stuffing the area to the brim with all manner of twisted creatures and associated loot. This is bad news for pretty much everybody. Everybody except adventurers and treasure hunters like you, that is. 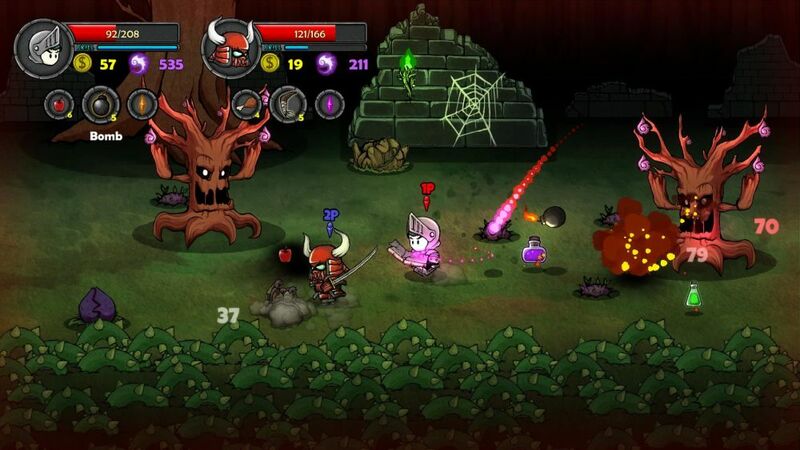 Let's get the easy comparison out of the way: Lost Castle will kind of remind you of Castle Crashers, and not just because they both have "castle" in their name. Both games take place on a 2.5D plane where players can move in four directions to dispatch foes. At the end of the level you'll face off against an insane boss, usually something like a giant blob or a goblin on a war machine. You've got a weapon, a special ability, you can jump, and everything looks like a cartoon. The Castle Crashers similarities end there. Lost Castle bends the rules of combat gaming to combine pseudo-permadeath with pseudo-progression. When you die, your character is gone, and you probably won't control a new one that looks the same (I miss the my afro, that rocked). Your equipment is gone, along with any items you picked up in your journey. But the good news is you start with what amounts to a different class character. Maybe you'll have a big, slow sword, maybe you'll shoot fire instead of swinging a blade. Either way, as soon as you start playing you can find new equipment to get something more to your liking. Changing "classes" doesn't actually affect the gameplay all that much. What does stick around between deaths are your skills. Upgrades come in the form of a lightly branching tree that splits into attack, defense, and other categories. 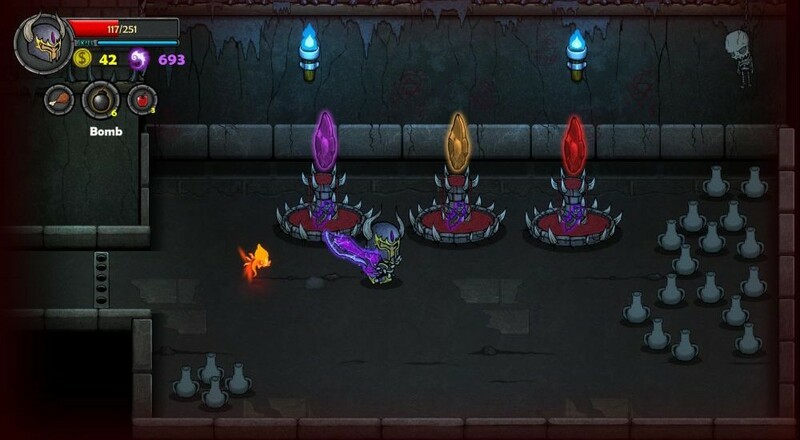 You pick up purple soul power by defeating certain enemies, and when you die you get to sacrifice that power to upgrade passive abilities, giving you a fighting chance in your ever-continuing quest to kill things for longer periods of time. Page created in 0.8847 seconds.